This morning was spent in the beautiful Washington National Cathedral’s special event Seeing Deeper. Now offering a number of tours and occasional photography opportunities, anyone in the area can come and enjoy the stunning work and detail of the Cathedral. One of the favorite tours is the Behind the Scenes tour which takes visitors to hidden areas locked to the general public. Stained glass throughout the cathedral offer a variety of subjects ranging from religious themes, to including a moon rock within the glass. And you know me..of course I had to find all the horses I could within the windows. The details of the cathedral are impressive. Once you slow down and begin to really look, everywhere you see something special is discovered. And if you really look, you can find Darth Vadar as one of the gargoyles outside. But as it was raining outside, the focus was on the beautiful interior of the cathedral with its antique lights and structural details. 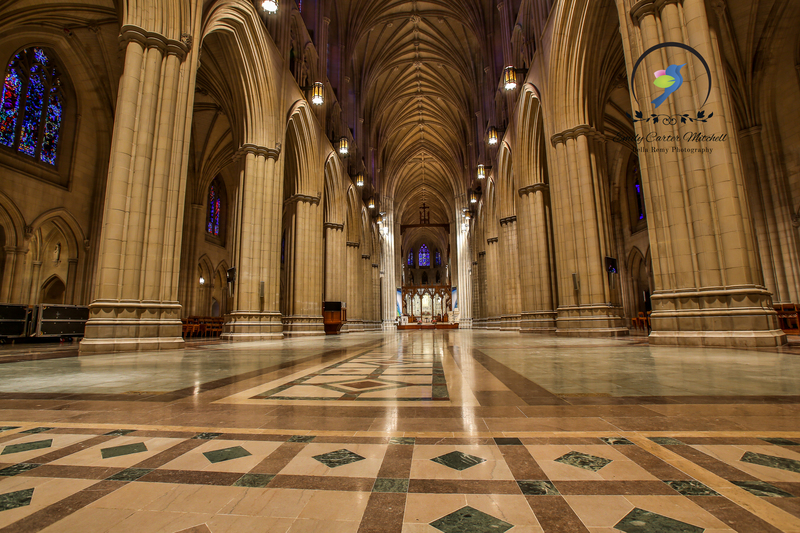 The history and connection to the modern world within the National Cathedral is deeper than anyone could ever image. Even Helen Keller is buried in the cathedral along with her teacher Anne Sullivan. It has survived hurricanes and earthquakes and remains standing true. Although quite young in the age of a cathedral, it has lived a full life so far and will stand for many years to come. Wow, that is such a stunning facility. Next time I’m in town I am going to stop and visit, I need to see this in person. If you’re ever in the area, let me know Charlie ! I do hope you make it on the east coast sometime. I am a big fan of stained glass windows. When I was a child, I thought heaven was on the other side! I’m not sure if you caught the one with the moon rock in it. Now how cool is that? You can imagine, the amount of detail in this church is amazing. The more one looks, the more you see. Truly a stunning place and I’ve only just begun to explore. I remember singing here during a high school Madrigals trip. It is an amazingly beautiful place, and when I see photos now, the sense of awe is revived. Thank you for sharing! Oh my..I get goosebumps just imagining what it was like to sing in the chapel here. I’m sure the acoustics is incredible. Wow..such an experience you had there. I truly hope that one day you can get to visit. It’s such a beautiful place. Thank you.